Painesville Disc Golf Club – At Painesville Kiwanis Recreation Park "The Pond"
Start the season of with a new event for 2019!!! This event will have the first round at Sims Park playing a standard round of 20 holes, followed by the second round at Painesville Recreation Park!! 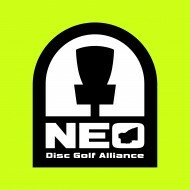 This will be the first PDGA event at Painesville, so let’s show their course and club some love!! Player Pack’s will include a custom stamped Discraft Disc and custom towel provided by Anhyzer Designs with retail value of $25!!! Divisions can be added as necessary, with a minimum of three per division where applicable. Thanksgiving Throwdown Save The Date! If you have Facebook, you can keep up to date in the discussion for the Thanksgiving Throwdown event HERE ! UPDATE On Friday, October 12th he was taken off life-saving measures. Now sadly we are trying to raise money to help ease the burden of the holidays while mourning the loss of a Father and Husband. Please get registered and involved. We appreciate your help and support as I’m sure the family involved will as well. ALSO Please know that if you don’t have a partner it’s ok. We can draw partners on the day of the tournament. This is a charity fundraiser for fun and community support. It’s not like there is prize money. If you have any questions please feel free to call or text me.